Edmonton, Alberta, Canada: On one of the coldest days last winter, I was inspired to capture the luminous structure of this frozen fire pit. 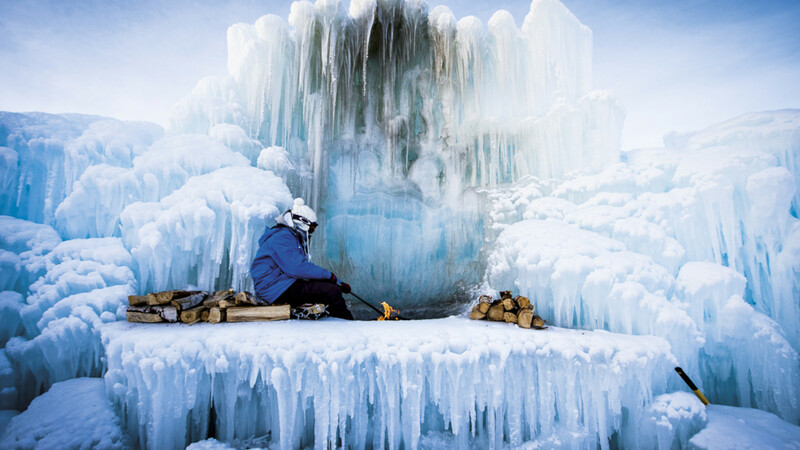 I loved the contrast of fire and ice, as well as the way both the blue light and ash-covered icicles framed my subject Halley Coxson. A big challenge was the near -30°C temperature, which caused my camera to malfunction and halted shooting until I was able to warm things up with some body heat. 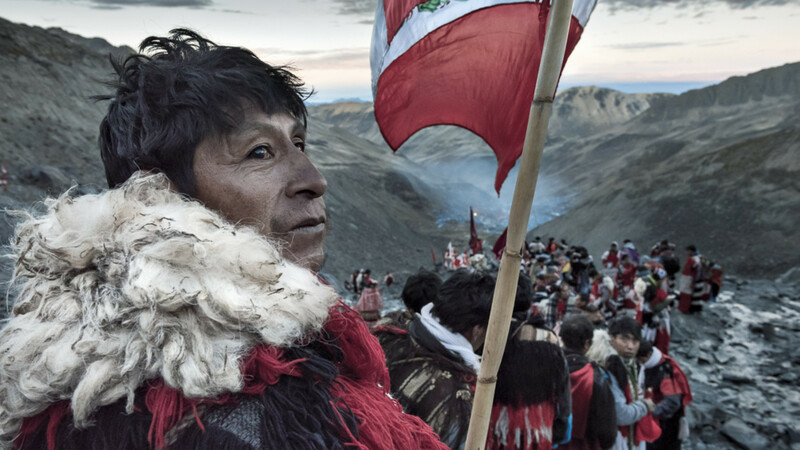 Sinakara, Peru: Around 80,000 pilgrims descend upon the Sinakara Valley in the Peruvian Andes to celebrate the festival of Qoyllur Rit’i – a mixture of Inca and Catholic traditions. During the final night, bands of Ukukus head up to the holy glaciers at an altitude of 5,600m to perform initiation rituals. At dawn they descend back into the valley, carrying large crosses on their backs. 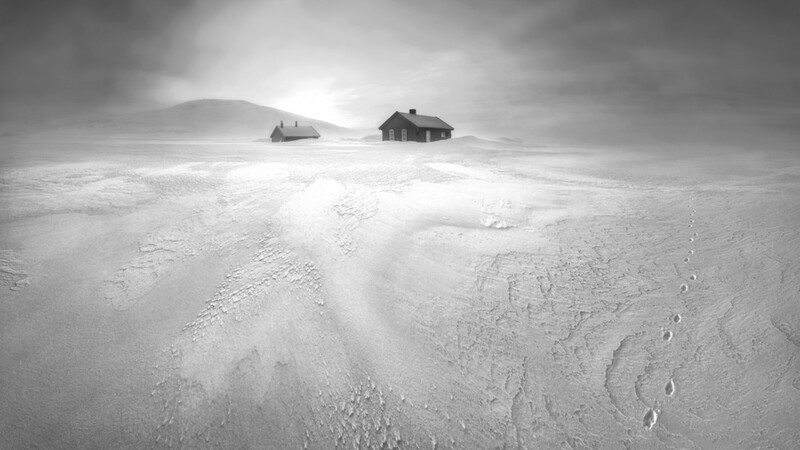 Hardangervidda National Park, Norway: After days of frigid snowstorms, a break in the weather revealed an otherworldly landscape near these hunters’ cabins. The little footprints were left behind by a lone arctic fox during its relentless search for food in this barren wilderness. After scouting this frozen scene before sunrise, I discovered a spot with a snowdrift leading into the light. The placement of the hill to the left and the tracks made for a balanced image. The image is captured in a wide panoramic format to convey the vastness of the surroundings. I captured the image just before the sun broke the horizon, making for a softly lit scene that helps the textures come alive. 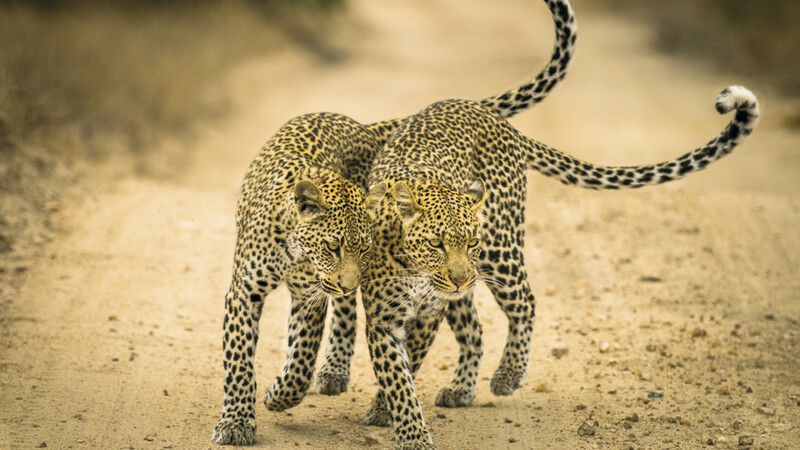 Timbavati Game Reserve, Mpumalanga, South Africa: The eternal bond between a mother and child is one that transcends the animal kingdom.One early morning in the Timbavati Game Reserve,we came across this female leopard. She was clearly searching for something and continued calling until she reached an open road. Just as she arrived, her cub came running out of the bushes. The ensuing interaction between the mother and cub proved the love that the two share for each other. 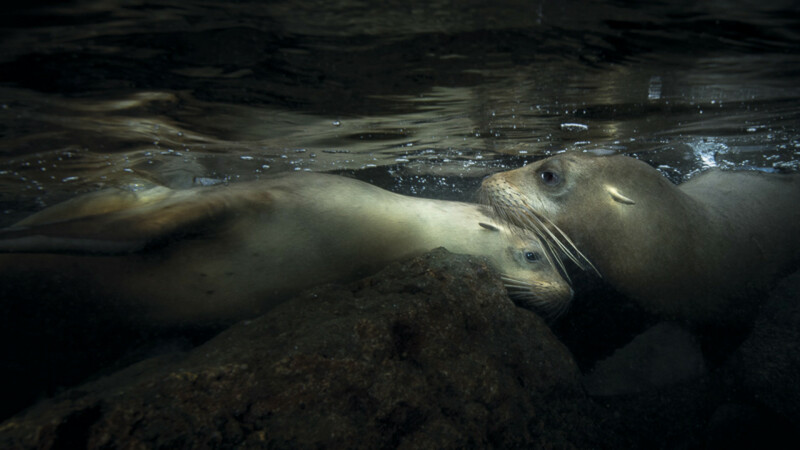 Santa Fe Island, Galapagos Islands, Ecuador: While snorkelling with a colony of California sea lions I quickly noticed two particular photography challenges. The first was how to avoid the attention of the large, aggressive and protective alpha male. The second was the enormous speed of the animals in the water. Lying very still in the water and using high ISO solved the issues. That allowed me to freeze this moment of tenderness using only natural light. Manchester, England: We grow flowers on our balcony at home, which offer many photographic opportunities. 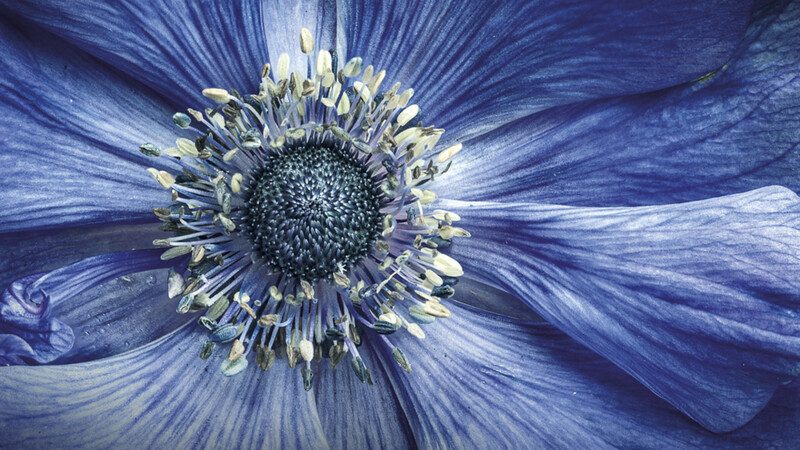 I noticed the rich textures in the blue anemone’s petals, and I waited for the flower’s textures to be at their best. Choosing to shoot on an overcast day prevented harsh shadows from the sun affecting the image. I used a plant clip to steady the flower, enabling me to take 15 shots that I then photo stacked in post-processing. Gavlfjorden, Holm, Langøya, Norway: Having driven several miles up a minor road, we came to the small harbour at Holm. After a short walk, we were presented with this wonderful view up a small side-branch of Gavlfjorden. 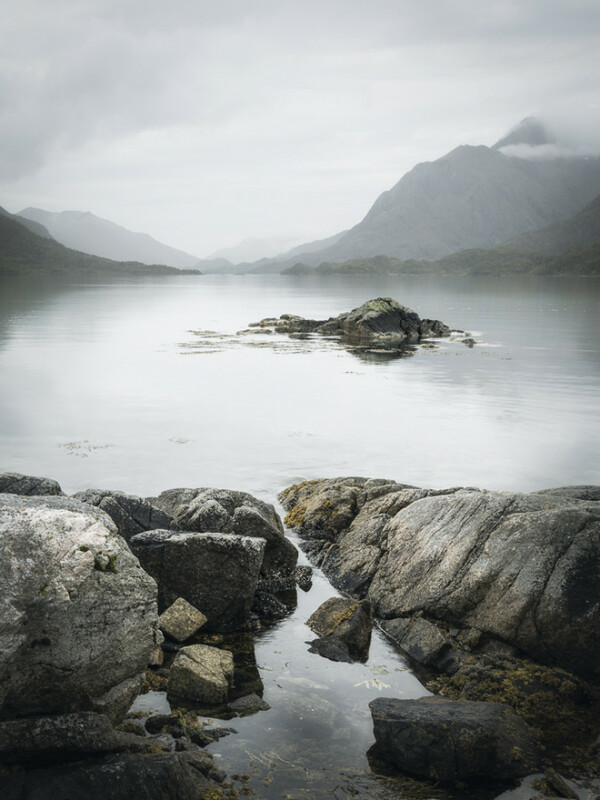 The soft, misty light and the calmness of the water were perfect for conveying the peace and tranquillity we were privileged to enjoy. Lower Sabie, Kruger National Park, South Africa: In Africa, poachers slaughter an elephant every 15 minutes to supply the demand for ivory – that’s 96 beautiful creatures a day. In 2016, as of the middle of September, there had been 36 elephants killed by poachers in the Kruger National Park alone – the highest number since 1982. With this in mind, I wanted to create a photograph to reflect the situation the elephants are in. 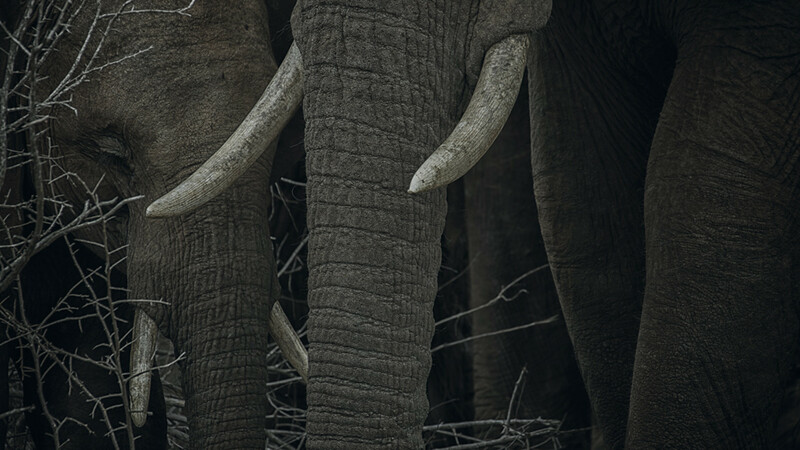 I chose to capture the sad look of one of the elephants; a dark image that lets you focus on the tusks. 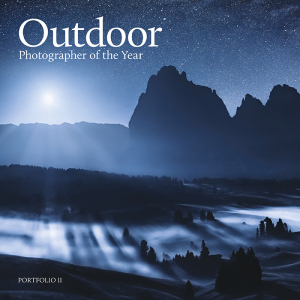 From the majestic beauty of the elephants of Kruger National Park in South Africa to the tundra and fjords of northern Norway, the Outdoor Photographer of the Year awards showcase the world's most unusual environments and wonderful wildlife. Take a click through the gallery above to discover the stories behind each of the eight remarkable winning shots.